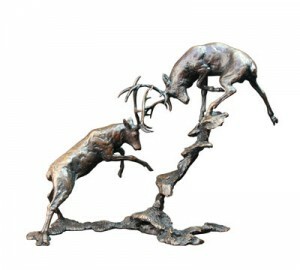 There are few modellers who can produce accurate and detailed studies covering such diverse subjects as wildlife and sporting scenes. Mick is one of the few who can achieve this goal working from reference books, his own drawings, photographs and observation. Like so many artists and sculptors, his studio walls are covered in this reference. Mick is unusual in another way in that he is one of the few sculptors preferring to model in clay. Mostly wax is used for its versatility but Mick loves the freedom clay offers and is quite content to work around its limitations. 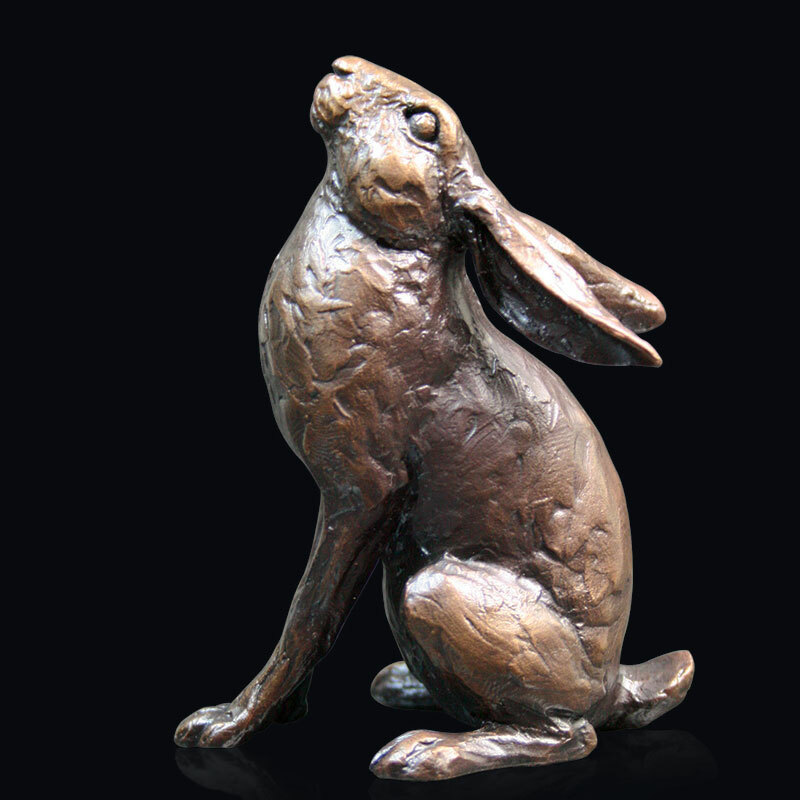 Mick’s work is available as limited edition bronzes cast by Richard Cooper using the ‘lost wax’ method of casting. 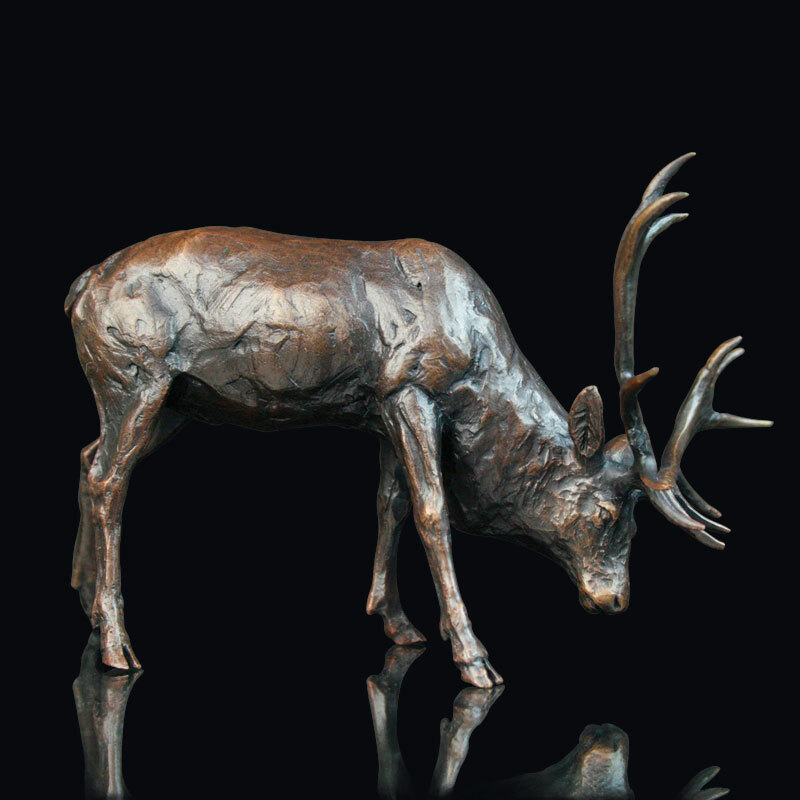 Each bronze is carefully sealed with wax to preserve and enhance its rich patina. 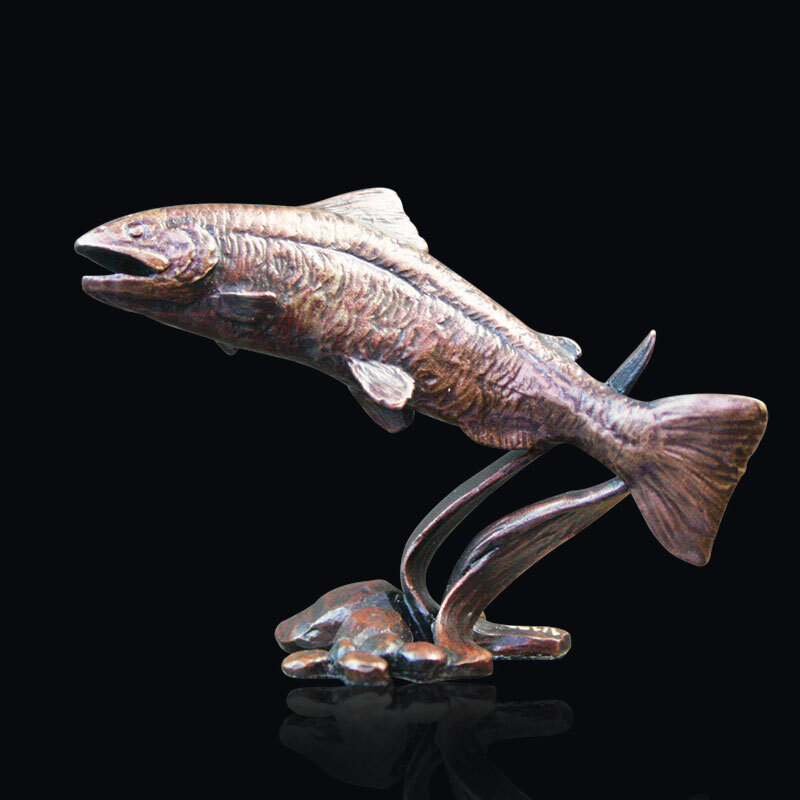 At Ashleigh Bishop Galleries we are delighted to supply a wide range of bronzes in our galleries at Dunster, Lynmouth and Sidmouth and by mail order.